Urbmouth was presented Sunday 14th March, 2010, as part of the AV festival in Newcastle (UK). An intoxicating cordial that debunks the Campari myth. 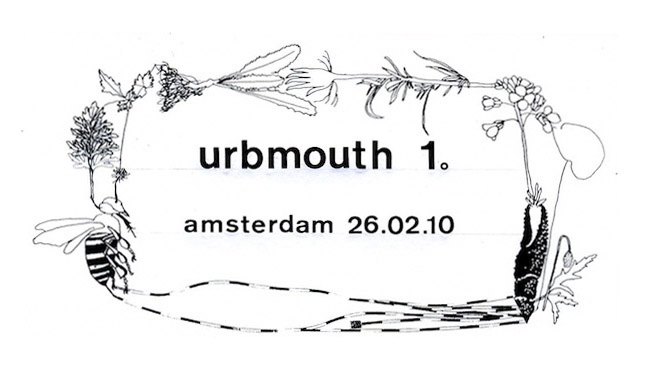 Urbmouth is a panacea for urban ills made entirely with ingredients sourced, siphoned and scraped from the abdomen of Amsterdam: from mugwort to thistle roots, herb bennett to rhubarb. The process of sourcing the plants for this medicinal aperitif is both a poetic exploration and a galenical excursion along vegetal and historical routes of Amsterdam. This entry was posted on Sunday, March 14th, 2010 at 08:08 and is filed under Project posts. You can follow any responses to this entry through the RSS 2.0 feed. Both comments and pings are currently closed.